About Me – Darklightness – Mom Blog. 30's Girl. Welcome to my Blog! 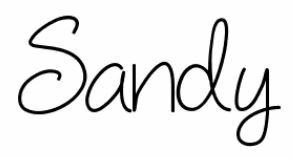 My name is Sandy and as I travel through this rollercoaster called life, I’ve learned that we all share the same struggles and are all trying to find ourselves in some way. At times, this journey can feel very lonely, and I think it’s important for people to understand that they are not alone in their struggles. We are all vulnerable to the circumstances of our lives, and while social media leads us to believe that people lead picture perfect lives, it simply isn’t true. I want to use my blog to discuss and work through some of my insecurities and connect with my readers on a raw emotional level. While many may not agree with my viewpoint, I am not writing for approval. I am writing to help myself work through my emotional struggles and hopefully help others work through theirs as well. We all grow at different paces, and in different directions. Not everyones path is the same, but we do often meet at various cross roads. Hi Sandy! I love your blog! you just gained a new follower. Happy blogging!